Since starting this blog a little over a year ago I have had so many wonderful new doors open up. This blog was originally started to be a journal for our homeschool journey but it has become so much more for our family. My affiliate accounts (located on the left side bar) and the review products/fieldtrips we receive have greatly helped our one income family. I would like to tell you a about a few NEW endeavors for me and hope that you will support me on these blogging journeys. 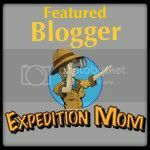 I am now a contributing writer for Expedition Mom. The Expedition Mom website provides you with "The Know Before You Go" for adventures in GA. Here are a few posts I have written so far: Elachee Nature Science Center: A Nature Lovers Paradise, "The Little Mermaid Pirate" at The Center For Puppetry Arts, HIGH Museum of Art. You can also follow Expedition Mom on Facebook and Twitter. I am now a review blogger for The TOS Crew. I have already received several items to review and those will be posted in July and August. I am very excited about this opportunity and cannot wait to share some amazing product reviews with you. You can also follow The TOS Crew on Facebook and Twitter. Rose Art is revamping their website and it should be done any day now. The new website will feature a blog and guess what? I will be writing posts for their blog. I will still share fun Rose Art crafts and product reviews here on my blog too. You can also follow Rose Art on Facebook and Twitter. 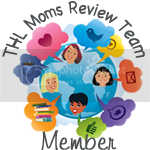 The Homeschool Lounge has a review team that I am very excited to be a part of. I cannot wait to see what cool products we will get to review. You can also follow The Homeschool Lounge on Facebook and Twitter. Well after almost a year of participating in every single Master Books Twitter party I am happy to announce that I am now a Mom of Master Books!!! I hope to see you at the upcoming party! And if you don't already PLEASE follow me on Facebook, Twitter, Pinterest and Google +. You can also make sure you get notified about new posts by signing up for Email or RSS Feed. And lastly thank you my blog would not be what it is today if it weren't for my wonderful readers. Kathy, it doesn't seem like a year has gone by already! You were my first "twitter buddy"! Congratulations on all the en devours your blog has led you to. You bring so much to this homeschool community! I've been trying to figure out how to be an official MB mom but still haven't quite figured it out and I've been reviewing for them for about two + years LOL enjoy and welcome to the Crew. Wow, you stay pretty busy. Thanks for the link to Expedition Mom. We live in Georgia so this will come in handy. Also thanks for the link to your post about The Puppetry Arts Center. We are going to the same show in two weeks. I have also just joined the TOS Review Crew.